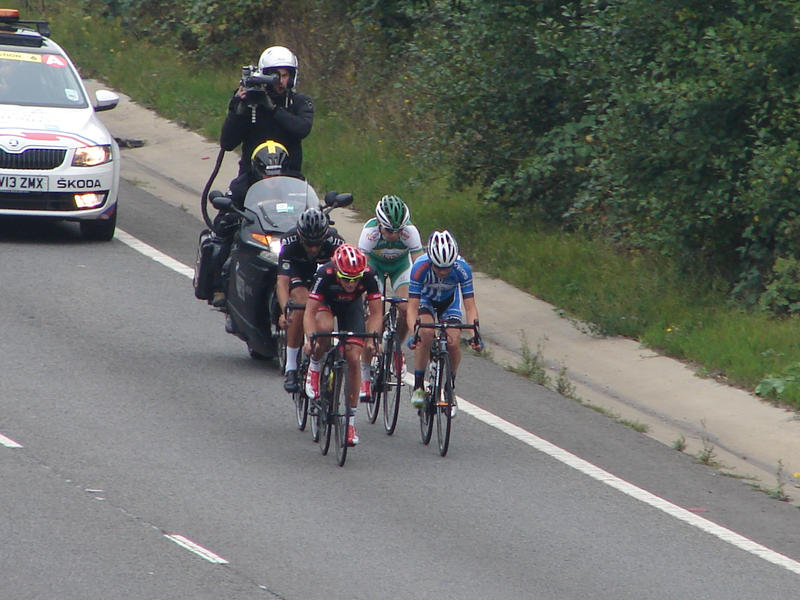 I decided it’d be a crime to miss seeing the Tour of Britain as it was coming within a mile of my house. 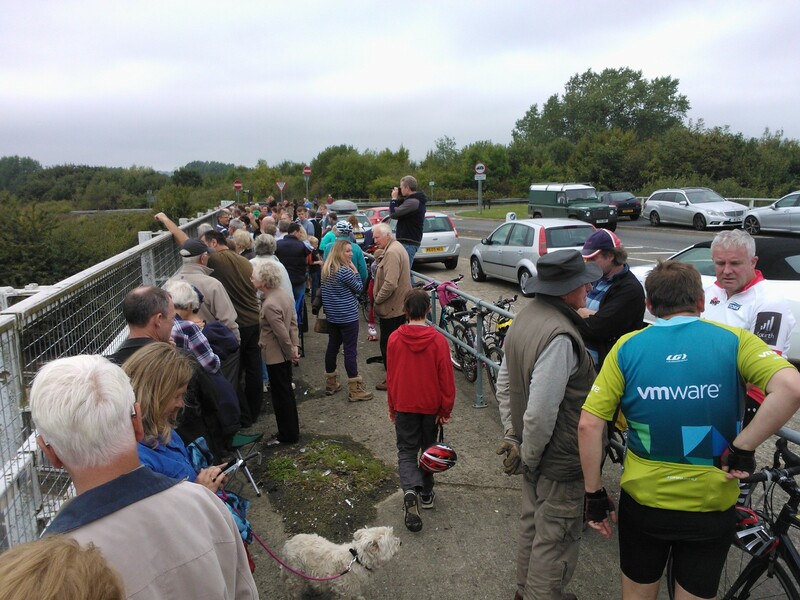 Turned out that a few other people had had the same idea and decided that the bridge over the A31 was a good choice. Nice to see so many people turning up to watch cycling, and on bikes too! Fortunately I thought of binoculars at the last moment, so I could watch them for a mile as they approached. Lovely to see these guys blasting through my local stamping ground on the TV! Click on any of the pictures for a larger version. 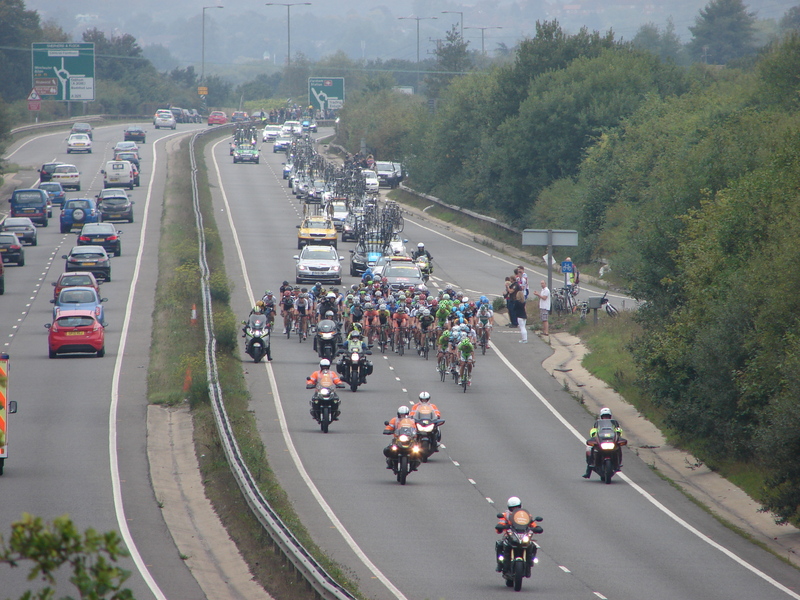 Look at all those spare bikes too! 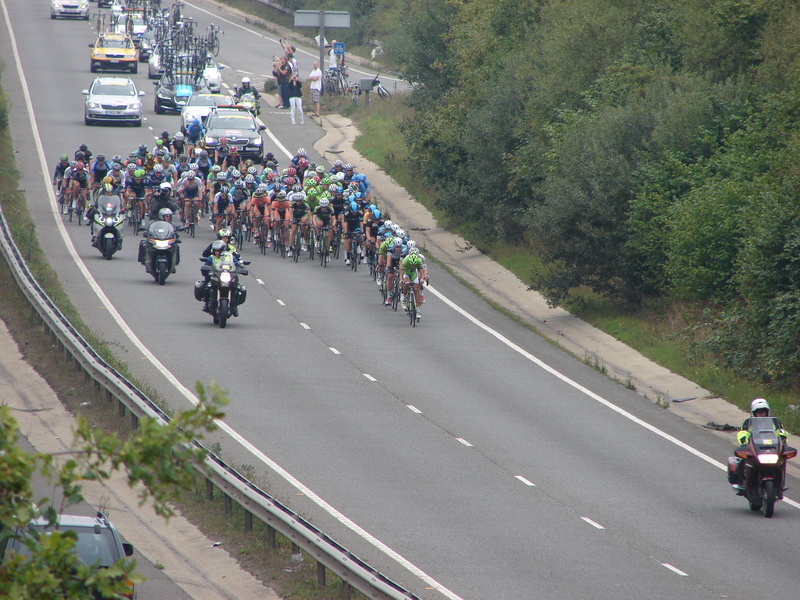 Having previously worked in Godalming and Guildford it was weird and exciting to see the top guys flying around roads I have commuted on on TV. Funnily enough they hardly paused for stuff I struggled on! Know what you mean. They took in Barhatch lane which I and my friends treat as some sort of 25% survival excersise. It only waranted a quick mention :(.